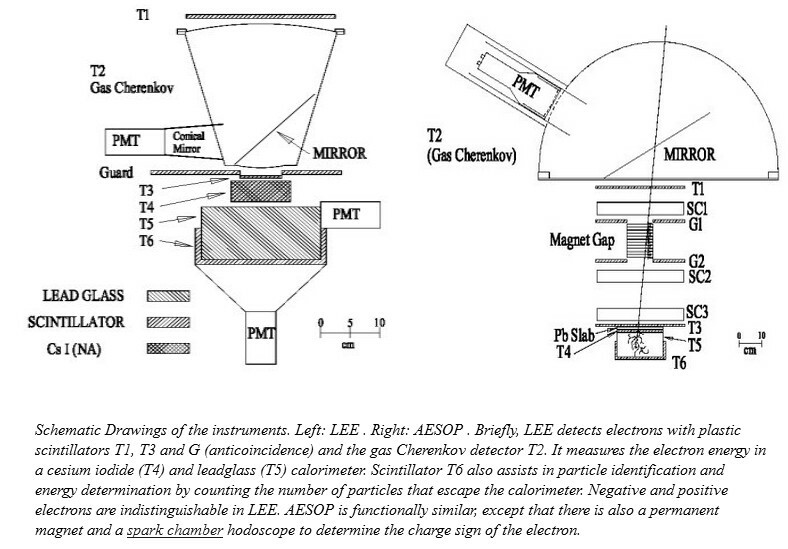 LEE is an instrument which measures the energy spectrum of comic ray electrons. In the picture at left we can see a scheme of it (the left one, click to enlarge). It detects incoming electrons with 3 plastic scintillators (T1, T3 and G in the drawing) the last one for anticoincidence and a gas Cherenkov detector (T2). 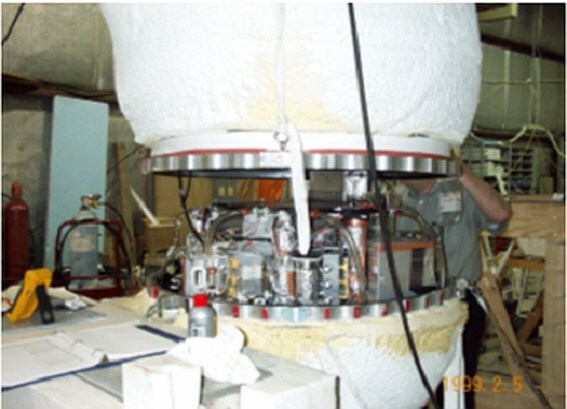 It measures the electron energy in a cesium iodide (T4) and leadglass (T5) calorimeter. Another Scintillator (T6) also assists in particle identification and energy determination by counting the number of particles that escape the calorimeter. The LEE instrument was developed in the late 60's at the University of Chicago and made his first flight in 1968. 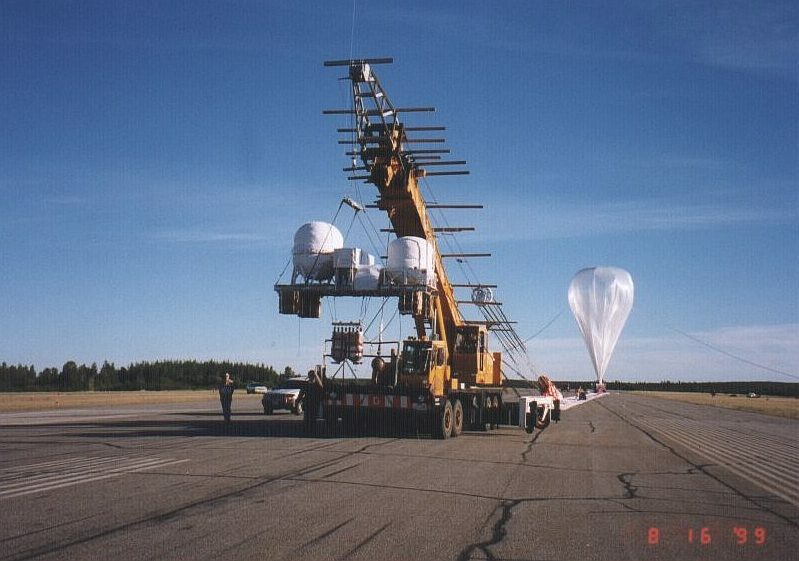 Over the years, regular ballon flights have been made from Northern Canada yearly during the years 1968 to 1975 and approximately bi-annually until 1979. 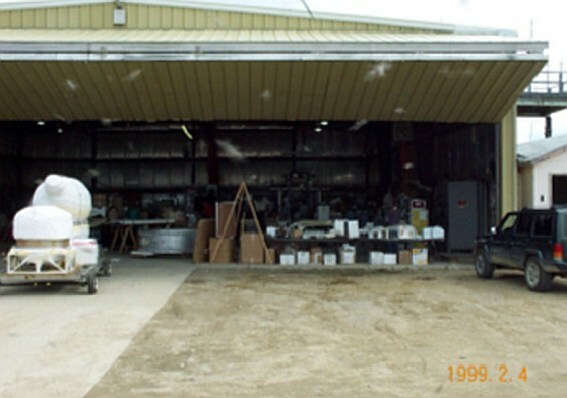 Then, the experiment was transfered to the University of Delaware, wich now operates it. The observations from LEE provide one of the few more precise measurements of the electron spectrum over an extended period of time, but lacks of the ability to distinguish negative and positive electrons. Thus AESOP was created functionally similar, except that there is also a permanent magnet and a spark chamber hodoscope to determine the charge sign of the electron. As we can see in the scheme (the right one, click to enlarge) AESOP chambers contain 5 parallel aluminum plates connected, in alternate order, to ground and a high voltage pulser. The medium between plates is a slow moving noble gas mixture of neon and helium. As a charged particle transverses a chamber it leaves behind an ion trail in the gas. If the scintillator detectors, mounted above and below the chamber, detect coincidence light pulses from the resulting ionization track, a 10,000 volt pulser is triggered. In the presence of a high electric field, the ions in the gas are accelerated toward the plate surface producing more ions with each ion-atom collision. These multiple collisions form an ion cascade which ultimately results in a high voltage breakdown very near the original ion trail. This breakdown in each gap produces a bright red verticle spark which is digitized and recorded using a linear CCD camera. Both instruments were flown several times in a same gondola.